Referring to the previous article on Oramedia – African means of Communication in a Contemporary World, we publish today the case study on Oramedia on the Egypt revolution by Sulaiman A. Osho . Though the Egyptian revolution was triggered by the Tunisian revolution that saw the overthrow of Tunisian President Ali last December, it was actually propelled by lack of freedom of speech. Hence, to dismantle the culture of silence, the Egyptians resorted to the usage of African traditional media to bring down the government of Hosni Mubarak which has now influenced protests in Yemen, Libya, Syria, Jordan, and Bahrain. 1. Philosophical thoughts and idiomatic expressions: Such include, ‘My wife is pregnant, and my child doesn’t want to see your face. So, step down, so he can come out.’ These were expressed freely, and became the slogan among the youths, rural people and elites before the revolution to mobilise the people. 2. Graffitti: These are rude humorous, informative, educative drawings, paintings, writings on walls, streets, roads, rocks, vehicles, trains, and others to communicate and mobilise the people for the revolution. 3. Effiggy of Hosni Mubarak in different forms were used as Egyptians have high sense of humour to communicate. 4. Different drawings were made on the papyrus to bring down the government. 5. Cartoons were also used in different forms on walls, roads, streets, rocks and conspicuous places. 6. Music was effectively used as different artists and musicians, politicians, and religious people come up with different tunes and lyrics to stimulate the audiences at the demonstration spots across the country. 8. Speeches were made by opinion leaders at the rallies to articulate the issues against the government which include police brutality, state of emergency laws, lack of freedom of speech, lack of free and fair elections, uncontrollable corruption, high unemployment, economic issues, food price inflation, and low minimum wage. 9. Flags as ‘formal transference media’ in African communications (Omu,1978:3) were used in different forms during the Egyptian revolution to display representations by various political, religious, human right groups, associations in support of the revolution. 10. Dances in different forms were displayed to entertain and to dramatise (dance drama) to communicate at the rallies. 11. Drama sketches were done by different drama groups to entertain, educate and inform at the rallies. 12. Slogans were coming in different forms to give solidarity to the campaign against the repressive government. 14. Chorus chants and songs were effectively used by the people during the solidarity rallies to bring the government down in Egypt. 15. Communal efforts of cleaning, care for the sick, injured, and sympathy for the families of the dead were organised in the course of the revolution as forms of oramedia. 16. Costumes of different appearances were used to communicate in the Egyptian oramedia. 17. Drums were used in different forms to communicate as indigenous media. 18. Flutes and trumpets were used during the revolution in Egypt to communicate. 19. Cultural symbol of all at the rallies raising their shoes to demonstrate their hatred for the regime of Hosni Mubarak, as we have in the Egyptian tradition. 20. Puppetry: The use of puppetry at the rallies to communicate and entertain. 21. Sports: The use of sports such as cultural boxing to entertain at the rallies during the revolution. 22. The use of folk songs, folk tales, oral poetry and other folklores at the rallies to communicate against the government to step down. And ‘on the eighteenth day, I was standing near Tahrir Square having a discussion with some protesters when I heard a sharp cry, followed by more loud shouts of “He’s stepped down!”. Millions of Egyptians then launched into a riotous celebration throughout the night, overjoyed that Mubarak had resigned and the dictatorship had fallen’, (Al-Aswany, 2011:x). What Hope for Oramedia In the New Age? 1. It is important for the African countries to make the learning of local languages compulsory at all levels of education from kindergarten to University level. This will bring back the lost glory of the local languages in shaping the tradition, customs, cultural heritage, African value system, and indeed oramedia. 2. The teaching of various subjects in primary and secondary schools in local languages will further bring alive oramedia in our social system. This will make the students understand the subjects better, and energise their creativity an inventive memories. Today, China and Japan are emerging as the new political and economic powers in the world because they teach students in their respective local languages from primary to tertiary institutions. 3. To inculcate the African culture and values in the children from infancy as the best culture in the world. 4. To instill in the new generation of Africans the pride of African traditional system from infancy through the home to the schools. 5. To give constitutional roles to the traditional rulers in Africa as the bastion and bedrock of leadership that people respect most. This will strengthen the traditional institutions and indeed the oramedia. 6. To develop the cultural technology for the emancipation of oramedia. This will create employment for the teeming unemployed youths in Africa, and create new generation of cultural technology for the oramedia. 7. It is important to make the teaching of oramedia compulsory in schools to engender better understanding and practice. 8. The African leaders should develop the rural areas so as to preserve the communal nature of the people for the preservation of the oramedia, and reduce the drift from the rural communities to the urban centres. There is no doubt that Africa has what it takes to be great and to sustain its traditional means of communication. The continent has the huge wealth, population, human and natural resources to be great. In fact, if African leaders can decide to look inwards and break from the control and strangle hold of the West, their respective countries will emerge as top emerging economies and politically in the next few decades. Africa had been weighed down by slave trade, colonialism, and neo-colonialism. And we are still being traumatised by globalization which is developing the computer industries in the West and the East, apart from threatening our culture of oramedia. It requires the political will and zeal of our leaders to look inwards and energise the traditional means of communication which has come to subsist with its unique values and effectiveness in the face of the overbearing nature of mass media, new media, and globalization. 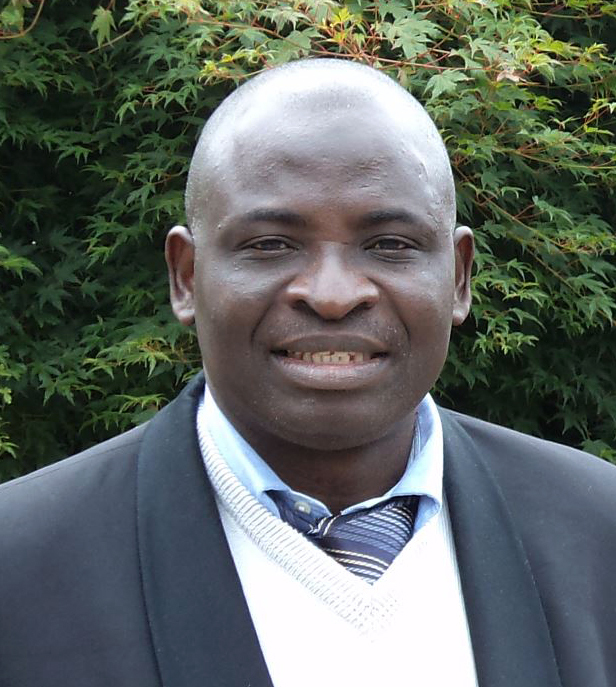 Sulaiman A. Osho – is from Nigerian and a Doctoral Candidate on Media and Multiculturalism at the Al-Maktoum College, University of Aberdeen, UK. He presented his paper at the Seminar on Cultural Diplomacy In Africa (CDA), and International Conference on Cultural Diplomacy In Africa – Strategies to Confront The Challenges of the 21st Century: Does Africa Have What is Required?, organised by the Institute for Cultural Diplomacy (ICD) in Berlin, Germany, July 11 – 17, 2011. The complete article is also published at africanoutlookonline.com. August 14, 2011 in Uncategorized.